Terrazzo tiles are considered to be the most durable flooring material yet beautiful and versatile. It requires minimal maintenance. Despite its durability terrazzo tiles require repairs from time to time. Before we delve to the basics of terrazzo tiles repair, we need to know more about flooring. These tiles are made up of over 75% recycled materials. This makes the tile very eco-friendly and helps been a green establishment. The best way is to avoid exposing the tiles from harmful elements. If your tiles seem dull or there is an etched looking surface on the floor, these are caused by mistakes from owners themselves. These owners have been using acidic cleaners on the terrazzo tiles. These can be commercial cleaning products. Exposing the tiles to this solution creates a dull and murky look as time progressed. You need to avoid cleaners such as vinegar. Many people assume that vinegar is a form of natural cleaning for their floors. Vinegar is an acidic substance and causes the dull look on the surface. We recommend that you clean your tiles using water or floor cleaners that have neutral PH. Avoid these harsh cleaners, this will save you a lot from repair costs in the near future. There are a lot of times heavy objects will be dropped to the terrazzo tiles. Pointed objects can crash to your floor leaving cracks on the tiles. Older or less durable homes are affected by these. Things fall apart and leaving dings to the floor. These incidents can still be fixed. 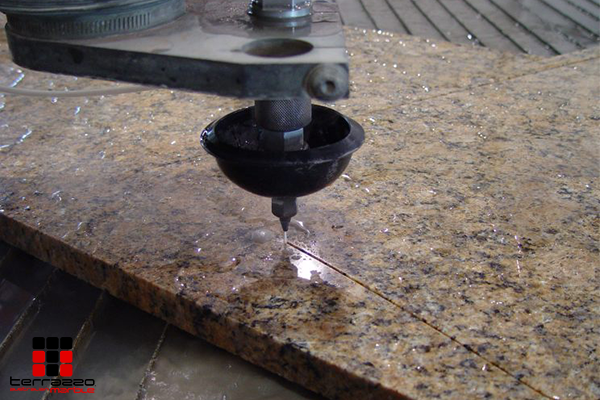 Similar to natural stone it can be repaired using cement grout or epoxy resins. Professionals use burnishing process to address these. They burnish the tiles from using Tile Doctor Remove & Go solutions. Once the burnishing process is complete, they use sealants like the Tile Doctor Colour Glow. The solution seeps through the tiles giving it extra protection and robust seal. If you are not that technically adept in construction we highly recommend you hire experienced professionals to do this for you. These experts know the best practice on burnishing and sealing. It ensures your tiles are repaired correctly compared to do it yourself scenarios. To get these professionals we suggest you do research on the internet. Check their websites and experiences. If you come across reviews, take note of the feedback from their previous clients. It is also recommended that you get referrals from friends when hiring. Hope this article sheds light on how you can fix your terrazzo tiles. These tiles are really great. To prolong its beauty you need to take care of them. If you encounter cracks, don’t worry. All those can be fixed. If you need help on this feel free to contact the friendly staff of Terrazzo Australia. We’d be more than happy to help.